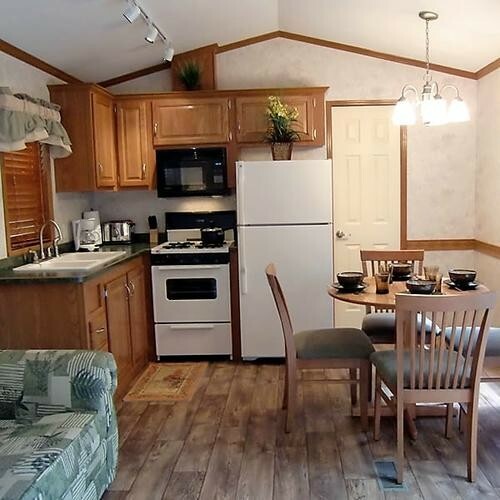 The Sunset Family Lodge offers many more of the comforts of home in a modern park-style unit and allows you to bring your friendly four legged friend with you. This lodge is equipped with two bedrooms each with a double bed, full kitchen, and separate living and dining space. Additionally, there is a pull out couch in the living room. 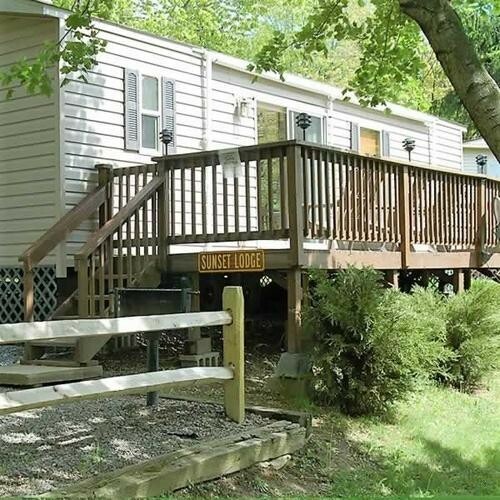 It is located in the Leisure Village section of our campground and is nearby the pool, playground, office, arcade, camp store and a recreation pavilion. 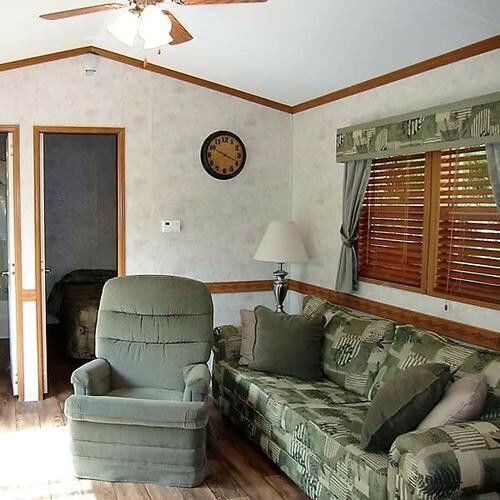 This fully-equipped unit can sleep up to six and is a great choice for a family or two couples that want to explore the area together. Number 17 on the map. Call for current rates and availability.